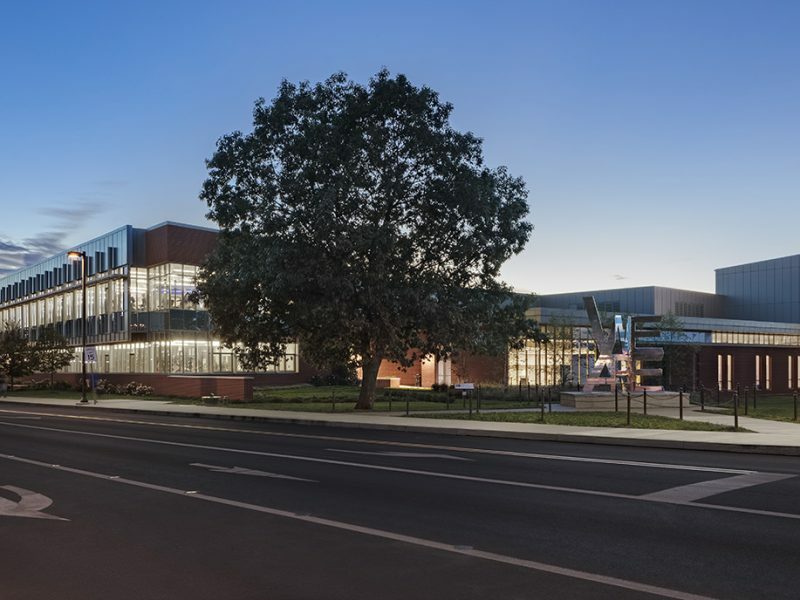 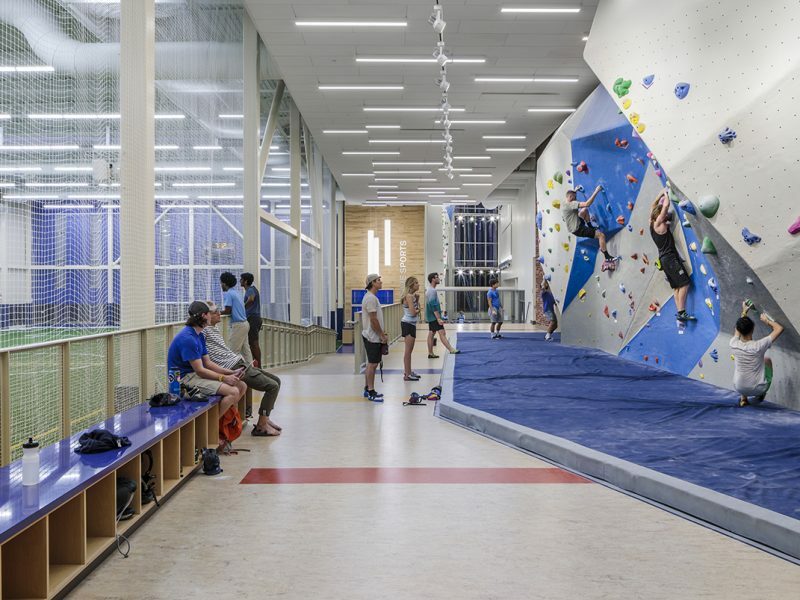 The challenge for this design effort was to create a new dynamic image to a very non-descript and functional recreation building. 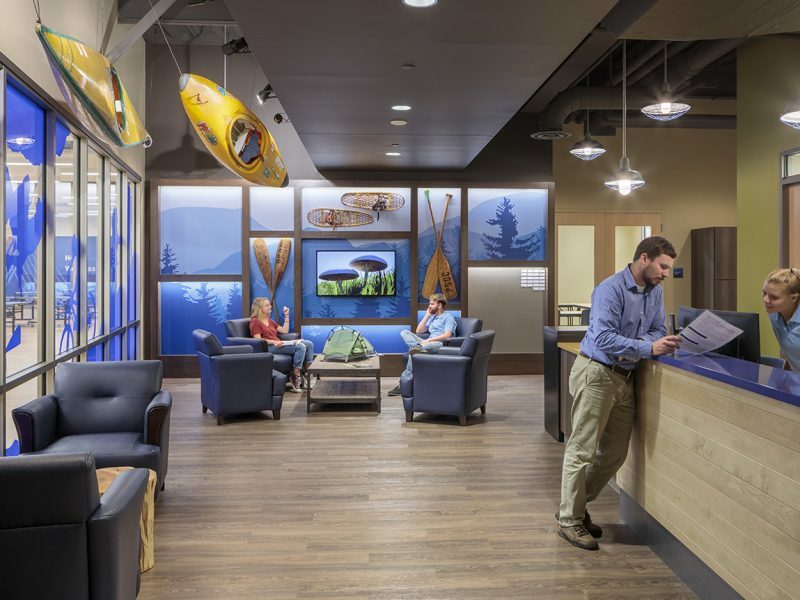 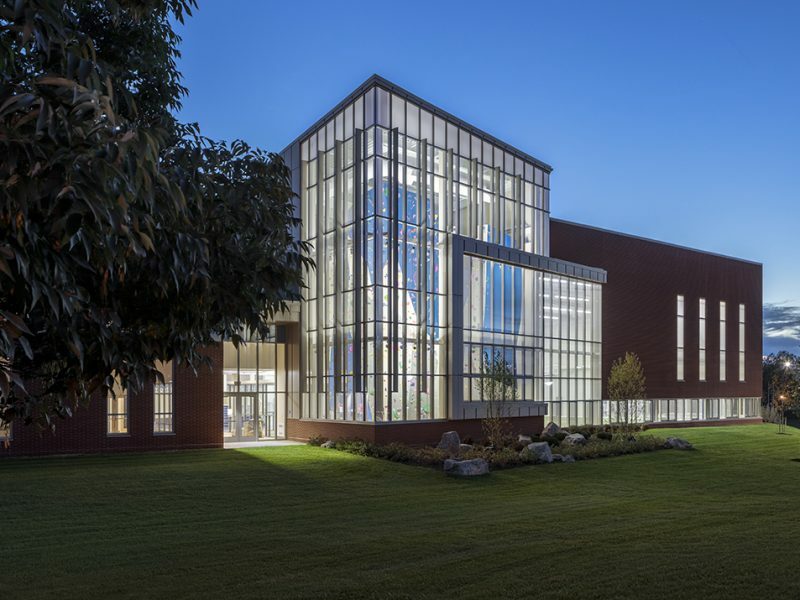 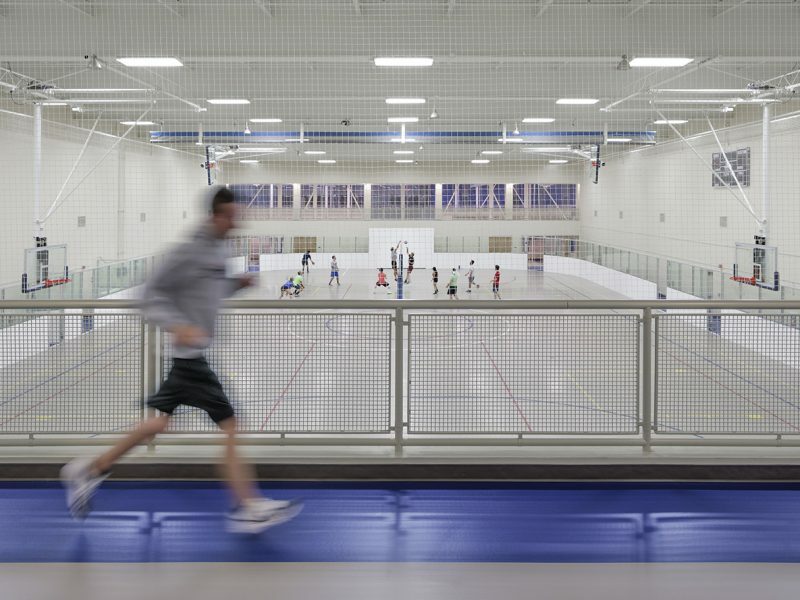 To reflect the active and dynamic program of the building, the entire facility was opened up to controlled day-lighting. 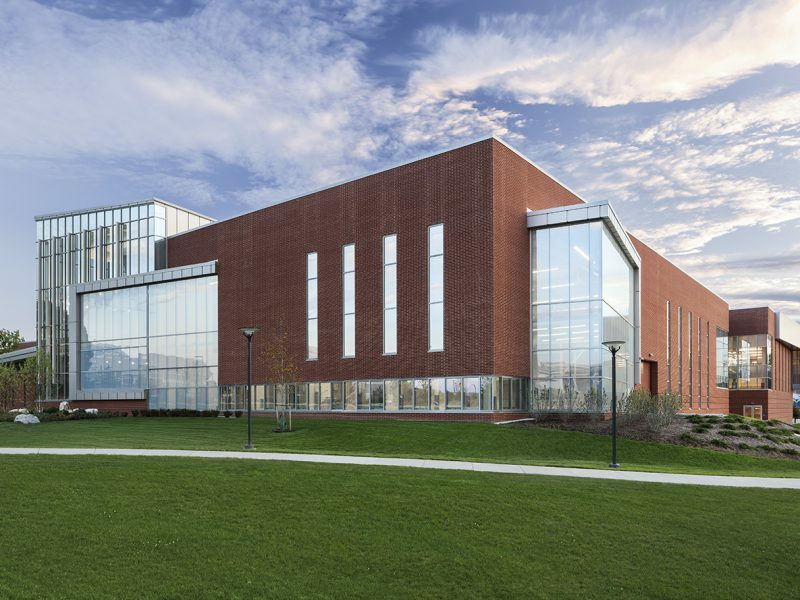 The responsive design story to address the main long entry south face starts with the “Criss-Cross Courtyard concept.” One angled building form gesture to the new campus gateway intersection with views of the Nittany mountains in the distance and one angled building form gestures back toward the main campus – where they cross in the main entry courtyard and plaza to the facility. 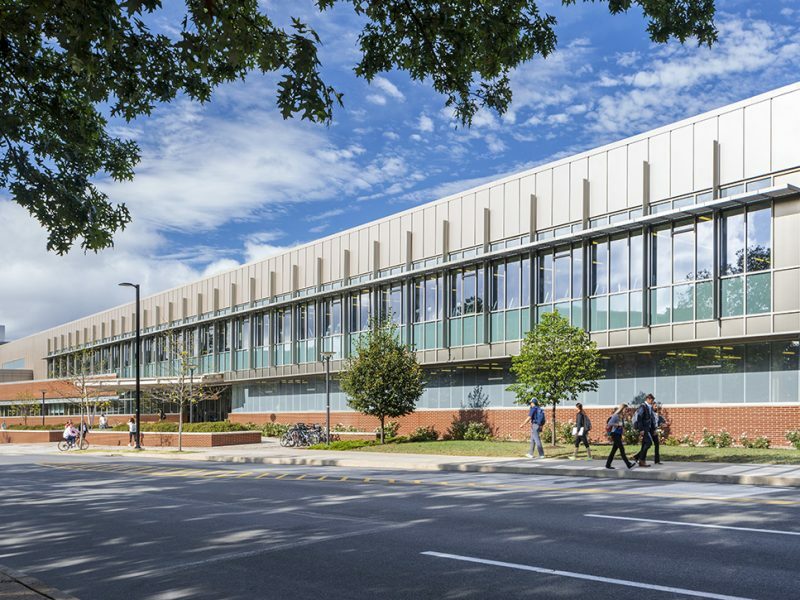 The slanted nature of the building forms allows the building to gracefully pull itself off the main street to provide engaging pedestrian oriented plaza space as well as establish clear way-finding to the building entry at day or night. 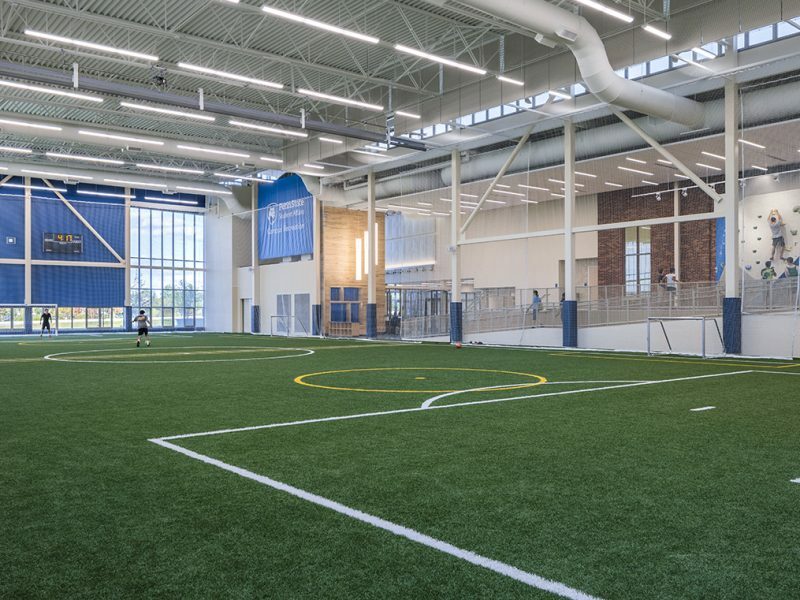 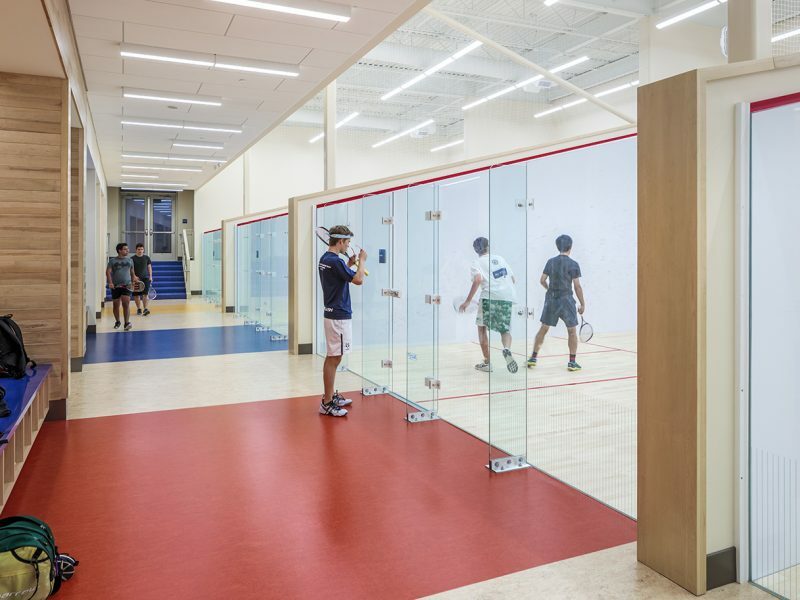 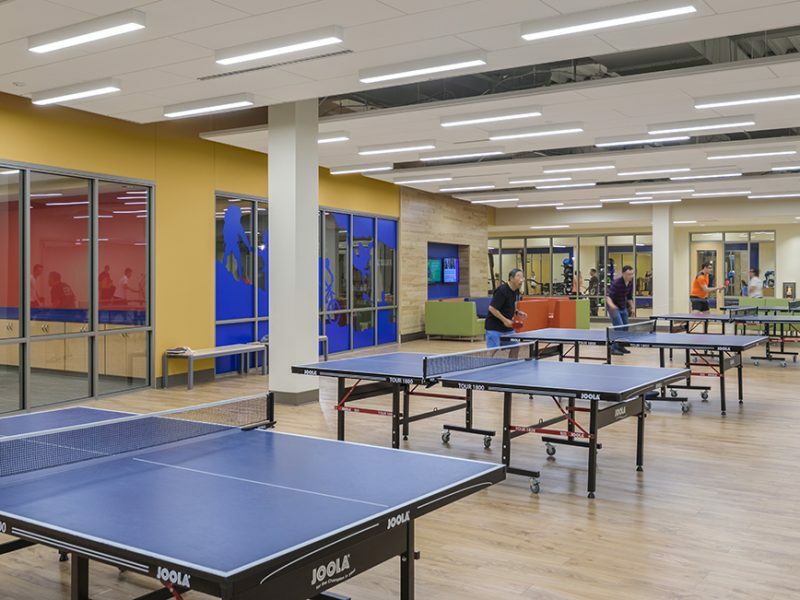 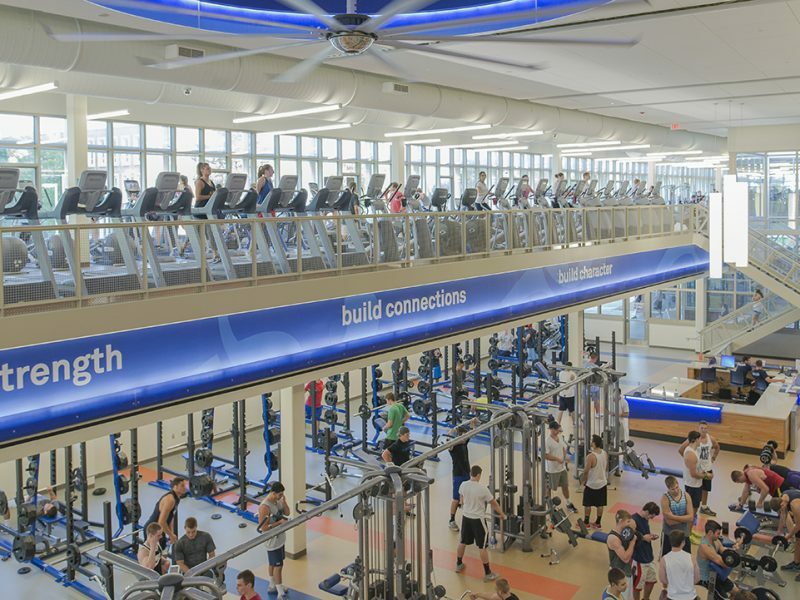 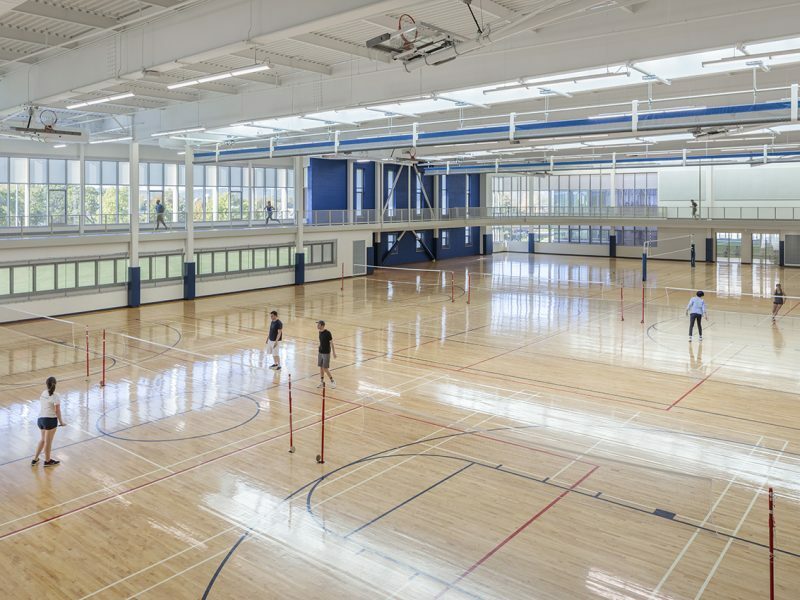 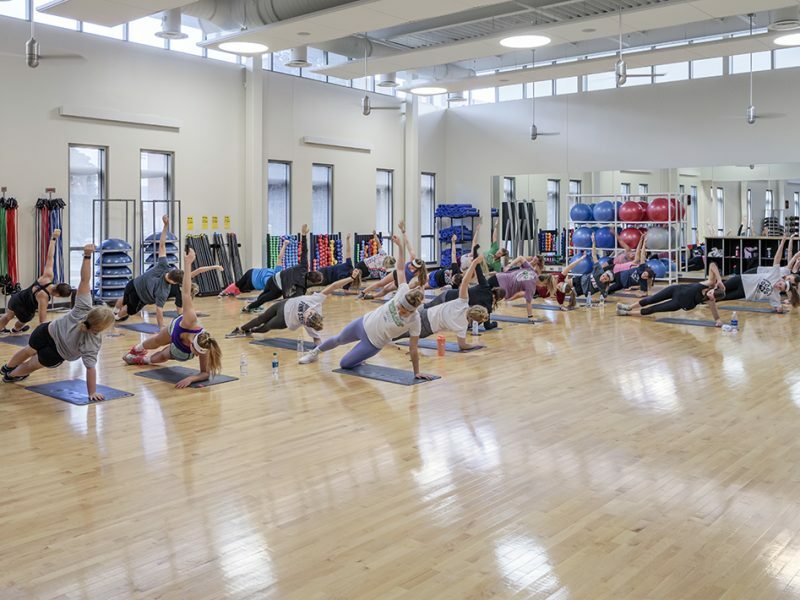 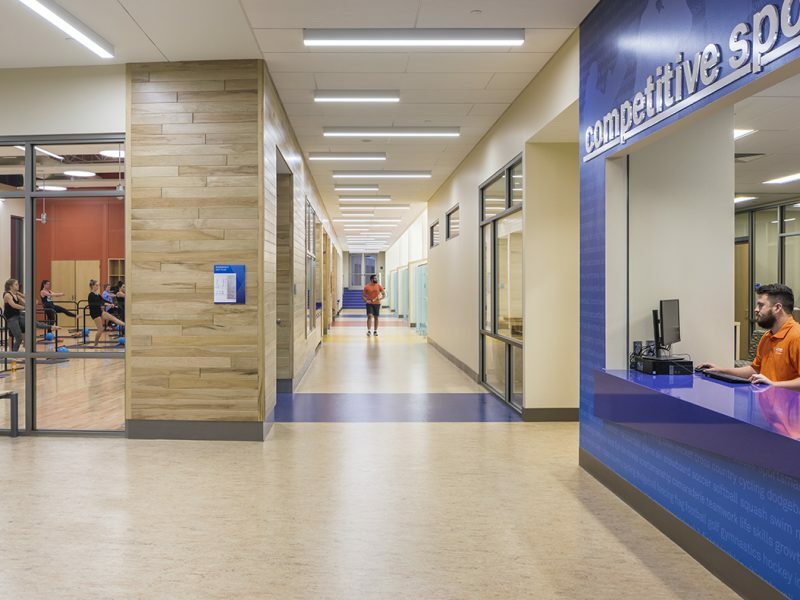 One of the key features that sets this facility apart is all of the main active student recreation spaces that are designed with “hybrid” ventilation systems which draw cooler outside fresh air through the facility on ideal spring and fall days. 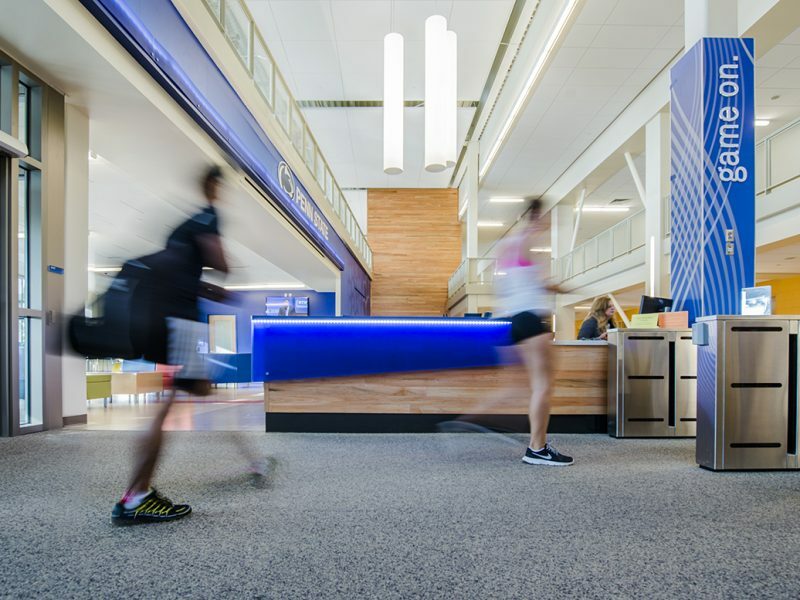 This not only connects users with the environment, but reduces energy use.